Mimi's having a rough week. Her split from Nick Cannon is all over the news, and I imagine it isn't easy to endure personal woes in the public eye. So I'm gonna throw her a bone and dedicate today's TBT post to her music. Mariah Carey hit the music scene in the spring of 1990, electrifying the airwaves with her debut single, "Vision of Love." From range to resonance, her vocals were amazing and unparalleled, and by the time the song ended, we all knew she was only getting started. When a favorite artist churns out so many hits, it's nearly impossible to choose a favorite. On the subject of Mariah's canon, sometimes I rep "Fantasy." Then I hear "Can't Let Go" and change my mind. Tracks like "Hero" and "One Sweet Day" are iconic, but "Fourth of July" remains a sentimental favorite. But for all her incredible tracks, "Butterfly" reigns as my absolute and eternal favorite. 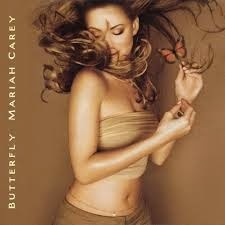 The title song from what I consider her best album, "Butterfly" is a tale of love and loss, of acceptance and courage. Mariah's vocal performance here is nothing short of masterful: breathy restraint yielding to a powerful, cathartic release at the end of the bridge, one she rides out to its gentle, bittersweet conclusion. Hear her now and be amazed. A work of art, this song. Moves me every time. Throwback Thursday: "Jem and the Holograms"
Cover Reveal: T.M. Franklin's "Twelve"